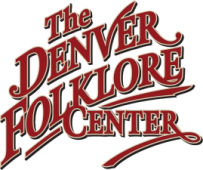 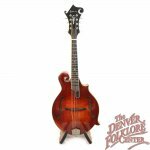 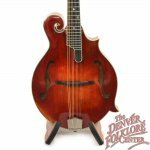 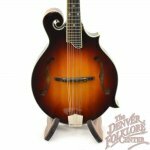 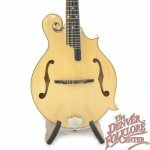 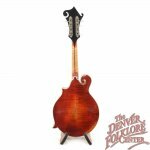 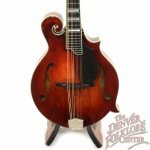 Eastman Mandolins continue to push the boundaries of what a quality instrument can provide at an affordable cost. The 800 series is fully appointed with multi-bound body, neck, and headstock and a nice customized Eastman flowerpot. 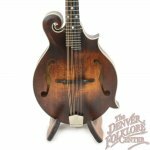 Special to these mandolins is the antiqued varnish finish- a thinner more flexible hand applied finish similar to what a violin uses. 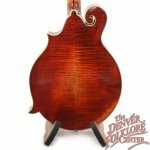 The thinner finish allows the soundboard to move slightly more when playing and provides a nice amber hue to the woodgrain. 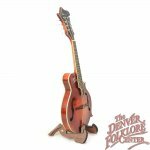 Also included is a nice Eastman hardshell case and the manufacturers limited lifetime warranty.